Sync with Dropbox and upload screensIf your project doesn’t have any uploaded screens yet, click on “Import from Dropbox”. If you have already added screens to your project, click on the “+” at the top right corner of your screen list and select “Import from Dropbox”. The pop-up window shown below will appear. Please enter your information and login to Dropbox. Select the images you would like to upload to your Prott project. To update an existing screen, click on the icon on the first icon from the right next to the screen name. 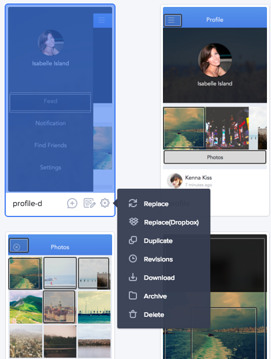 A menu will appear, select “Replace(Dropbox)”. 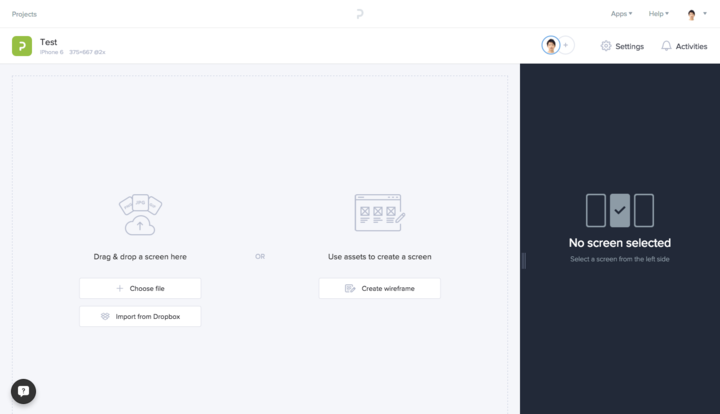 This will take you through the same process mentioned above, Select the new screen you would like to use and upload to replace. 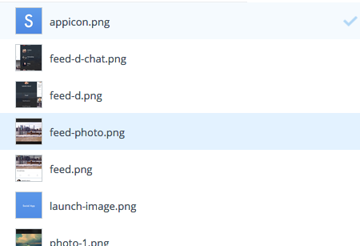 *Please be advised that Prott does not automatically sync images with updated files in Dropbox. Follow the steps outlined above to manually update any images you wish to use in Prott. We apologize for any inconvenience and stay tuned for future updates!